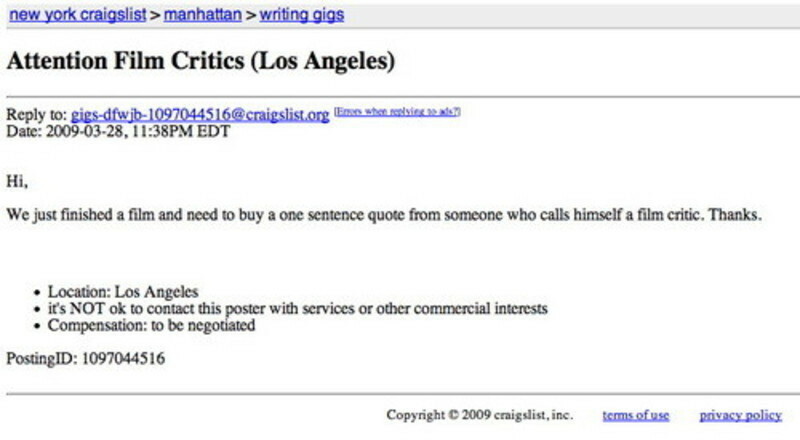 Above, via Aaron Hillis at GreenCine Daily, a new york craigslist ad soliciting, um, designer film criticism. This is the indie route, of course. The studios can afford to make up their own blurbs in-house. Is this what people mean when they say craigslist has made the old newspaper business model obsolete?